One hour delayed Spicejet flight to Srinagar as it didnt make it on time from Delhi (congestion at IGA is nothing new); atleast it didnt get cancelled which is what happened to the yesterday one. But thanks to that, had an unexpected encounter with an old batchmate- met after 20 years and thanks to him, the one hour whiled away in minutes. The flight starts descending as soon as it ascends; short flight of about 35 minutes- but the view from the plane was mesmerising. Unfortunately, the security fervour is such that one is not allowed to carry camera batteries onboard the flight while travelling to jammu and kashmir; if you come into jammu from Delhi or any other place- no such restriction; only when travelling from these airports, does one get such crazy instructions. Anyways, the cellphone was not much help either; so just enjoyed it with my eyes as long as I could. I was zapped at the vastness of the Srinagar airport; its pretty huge in area. I was told that its being developed on the lines of an international one; flights to Mecca already go from here. The drive to Nishatbagh where Yasmin stays was beautiful; the trees are all bare and desolate now; but even then there is something in the air here which is quite invigorating and fullfilling. 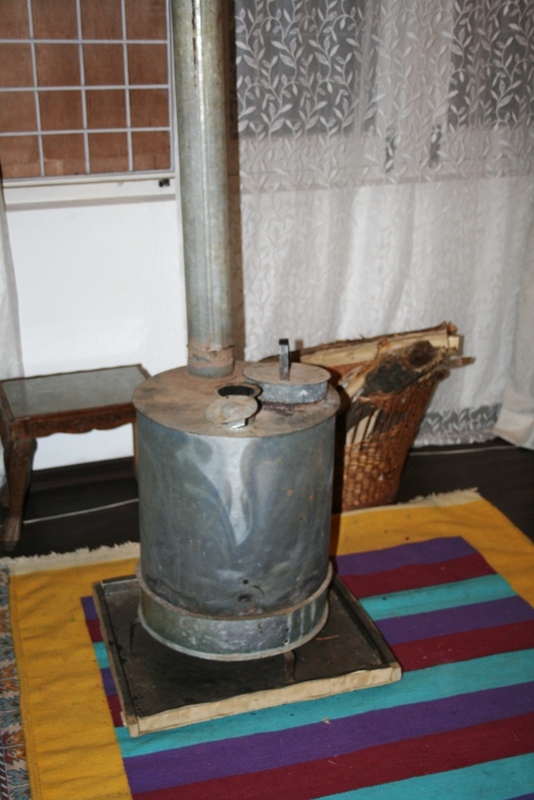 I have been enjoying the warmth of a BUKHARI heated room – these are amazing contraptions which are a must in all Kashmiri homes. 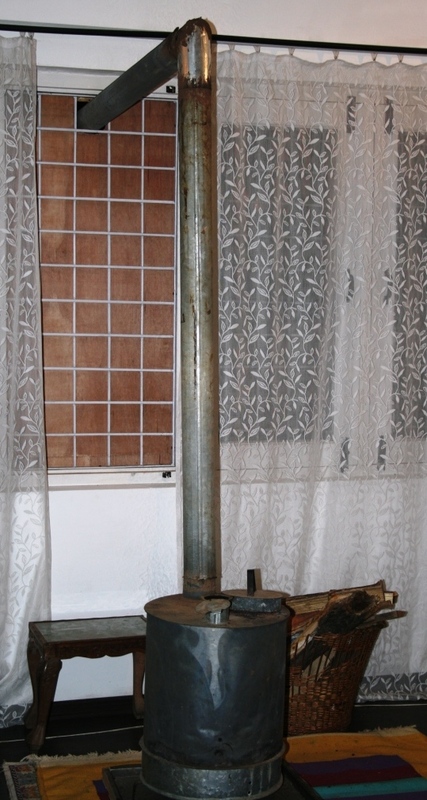 A tin barrel with a long pipe going out of the window for ventilation. Inside the barrel you burn wood which in turn heats the room. People burn walnutwood, chinarwood, etc – each gives out such amazing fragrance. Looking forward to the vaddiyans of Gulmarg or rather the snow filled meadows………. Previous Post I chased a bee across a sunny winter garden!